Should Troubled Teens Go to Wilderness Programs or Boot Camps? It's not uncommon for an overwhelmed parent to say, “I need to send him [or her] someplace else.” Whether a young person is running away, refusing to attend school, using drugs or is involved in crime, many parents come to believe military-style boot camps or wilderness programs are the only options left. Heavily marketed and popularized in the 1990s, some parents see boot camps as the way to send a clear message to their kids that their behavior will no longer be tolerated. But is a boot camp or wilderness program really the most effective way to handle a teen’s unacceptable behavior? There may be more effective alternatives. It’s easy to see why a boot camp might seem like an option. Just Google it. The websites tell story after story of lives turned around and offer relief at your fingertips. Many even have someone available to talk by phone 24 hours a day. Boot camps and wilderness programs remove teenagers from anti-social peer groups in their communities. They claim to teach kids to be disciplined, respect authority and take responsibility. Boot camps and wilderness programs also give parents rest, time to re-group and re-focus on other family needs that may have been neglected. Despite these purported benefits, there are a number of drawbacks to boot camps and wilderness programs. Kids are subjected to harsh physical requirements that not all of them can manage. It is not unusual for these programs to lack therapeutic elements and not involve the rest of the family. Nearly all the time, the other kids are there because they have behavioral issues, as well. These young people influence one another in a number of harmful ways. There is a heavy emphasis on punishment and scare tactics that might worsen emotional issues. And then there is the expense, exorbitant when you consider that there are mixed results and often short-lived changes. What happens when the kids come home? Kids do eventually have to come home to encounter the same peer groups, stressors at school and struggles at home. The evidence suggests that programs that remove a young person from his or her home and community do a poor job of preparing them, and their parents for that matter, for the temptations and challenges that will be inevitable when they return. There does exist a body of research that evaluates the effectiveness of such programs, both in their ability to reduce crime and save taxpayer dollars. One conducted at The University of Washington, through the Department of Public Policy, found that while boot camps were nearly five times the cost of Multisystemic Therapy (MST), they did not significantly reduce crime. A research brief issued by the U.S. Department of Justice rendered a similar finding. 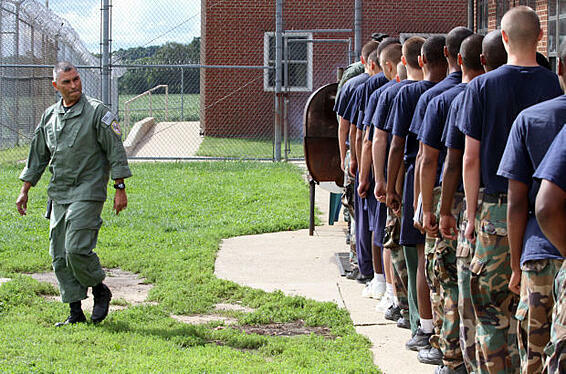 In their comparison of boot camps with traditional juvenile-detention facilities, they found negligible differences in outcomes. While yet another independent study published in the Journal of Child and Adolescent Social Work Journal (2003) suggests even more troubling results, reaching the conclusion that recidivism was higher in populations of youth who have been in wilderness programs when compared to those in juvenile-detention facilities. Are there any clear benefits in boot camps and wilderness programs? The claims are easy to find, but hard to substantiate. Treatment that involves the whole family and includes interventions at school, with peers and with the individual child. Add to that, programs that prepare kids for stressors and temptations while also helping the adults in their lives learn to minimize them, and programs that deal with conflicts that so often exist at home. Perhaps most importantly, programs that are evidenced-based models fueled by research and proven over time. You can view a list of proven programs here.